While Modalert is a wonder substance that has done great things for many people, just like all things in life it is not without some risks that are worth considering. Despite the positive effects it has given most people, there are a few who have experienced negative side effects from Modafinil as well. Luckily though, Modalert’s list of side effects is surprisingly low compared to other drugs like it and even when compared to many over the counter drugs. Despite the relatively safety of taking Modafinil, it is still important to understand the risks before deciding to use it. The most common side effects of Modalert (aka modafinil) in clinical trials are headache, upper respiratory tract infection, nausea, diarrhea, nervousness, anxiety, and insomnia. These effects, however, are usually mild and temporary and can be reduced by starting on a low dose and gradually increasing to the desired dosage. Elevated blood pressure is another side effect that is less common and reported in about 2% of cases. Especially people that have a history of hypertension should have their blood pressure monitored while on modafinil. Dermatologic side effects have been reported in a small number of cases. Some cases of rash were serious or life-threatening requiring hospitalization and discontinuation of modafinil usage. Some cases have occurred after prolonged use, while majority have been reported within weeks of beginning of usage. In a 2006 study of 933 people Modafinil was thought to have caused serious cases of skin rash in two patients. It was at this point that the FDA found it to be unsuitable for children in the treatment of ADHD. People with Cirrhosis or cardiovascular problems should avoid Modafinil. 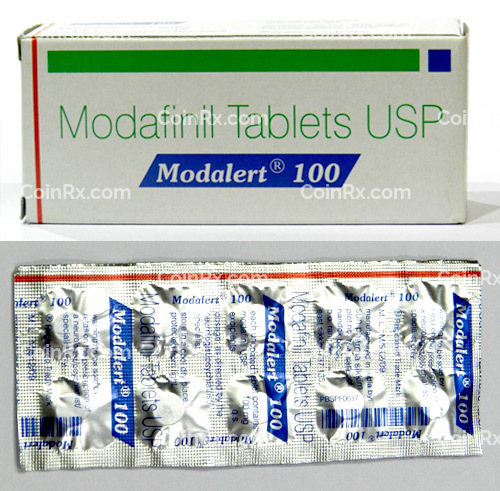 Even though it is technically not a stimulant, many properties of Modafinil are stimulant-like which can result in problems for people who have pre-existing problems with their cardiovascular system. Some of this might sound alarming and seem like a lot of negatives for Modafinil. In reality this is actually a very short list of things to worry about as far as any drug is concerned. You could easily find a much longer list of side effects and contraindications on the bottle of aspirin that is sitting in your medicine cabinet. That being said, if you are going to be the one deciding to put yourself on any sort of Modafinil regimen then it is important to understand ALL risks involved, no matter how few or small they might be. Modafinil and alcohol should not be taken together as is the same for many drugs. The effects of the alcohol while taking Modafinil are easily intensified and blood pressure and heart rate can increase rapidly. Modafinil can also lower the effectiveness of birth control pills for women. This may not be immediately detrimental to a woman’s health but it could result in an unplanned pregnancy, which the birth control pills are originally meant to prevent. There is very good reason for Modafinil to receive such widespread praise as most people that have taken it have nothing but positive things to say about it. Most people don’t even talk about the side effects or risks of Modafinil as they are so rarely evident. We just had to make these few bits of information about Modafinil known so that all cards are on the table from the very beginning, meaning people can make informed decisions about Modafinil use. It is all up to you though whether you will let Modafinil become a part of your life or not.